Travelogue meets functional fitness in a new documentary exploring the CrossFit® community in Southeast Asia. Amit Tripuraneni is a New Zealand-based CrossFit coach and filmmaker who decided to combine his two passions with an innovative travel show that explores how CrossFit® and its culture are manifesting in southeast Asia. Now, Tripuraneni is back with the self-funded season 2, which debuts on April 16th and ventures to Vietnam, the Philippines, Taiwan, Malaysia, China, and Indonesia. So Tripuraneni’s series aims to examine how this transnational movement intertwines with various Asian nations in different stages of development. Vietnamese people, he notes in the Hanoi episode, are pretty active — it’s quite common to exercise daily with tai chi, badminton, or other sports. While the obesity rate in the Philippines isn’t all that different, cultural perceptions of exercise are, with interviewees noting that working out is primarily seen as a means to lose weight rather than to manage overall health and longevity. It’s interesting note that practically all of the gyms he visits were founded by Western expats: an Italian in Hanoi, a Singaporean in Bali, Americans in Kuala Lumpur. The gyms aren’t endemic, they’re being injected into the local communities by foreigners. The challenges faced by the gym owners revolve around communicating to the local population the importance and viability of functional training, and the notorious cost of membership, something that remains an issue even in the developing world. 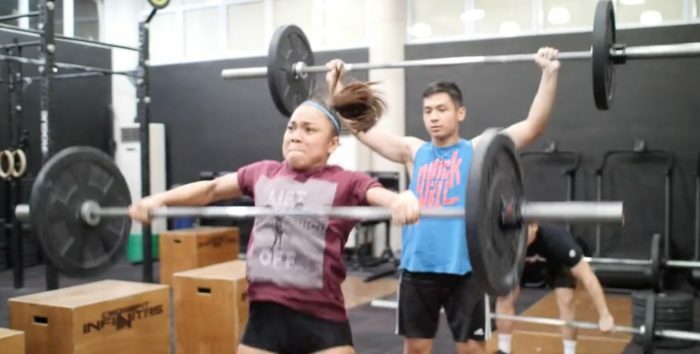 All of the gyms count at least half of their members as expats and the management at Hanoi’s CrossFit Tay Ho lament that nobody is making any money with the gym. Besides the useful travel tips that appear in each episode (like the best time of year to visit, how to get a SIM card, and so on), the hook is that you, the viewer, get to see the sport growing in cultures with little experience in functional fitness and how it has changed the lives and lifestyles of the locals who do attend. The Taipei episode, for instance, has a great interview with a gym member who discusses the difficulties with integrating her new diet and lifestyle into her social and familial relationships. Next season, Tripuraneni plans to visit South Korea and Cambodia before heading to Africa. In the meantime, episode 1 of Out of the Box’s second season will be released on April 15th on his Facebook page and YouTube channel.